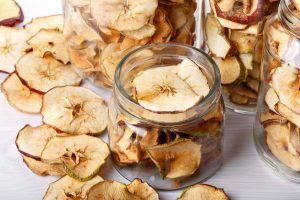 So you may have decided you want your own beef jerky at home, or you want to eat more raw food in the form of dried fruit. 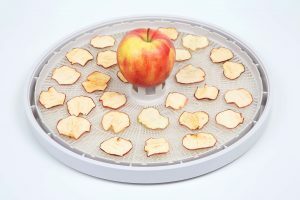 Either way, if you are looking for a food dehydrator there are quite a large range of different options. A rectangular model is a good choice because they are durable. If you are considering the Hamilton Beach Food dehydrator you have come to the right place for a quick review. 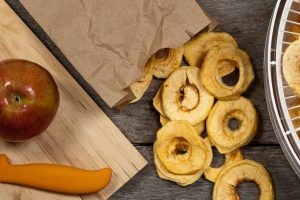 We will tell you more about its features and we will do a comparison of its good and bad sides. 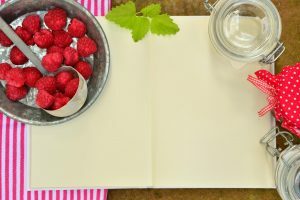 That way you will be able to clearly decide if this appliance will suit your kitchen. has quite a few nice features. It comes with a 48 hour timer with an automatic shut-off feature. 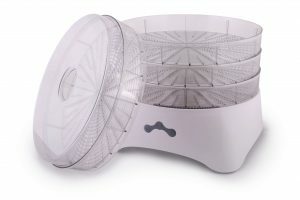 It has an adjustable digital thermostat and a clear top lid so you can see what is going on while your food dries. 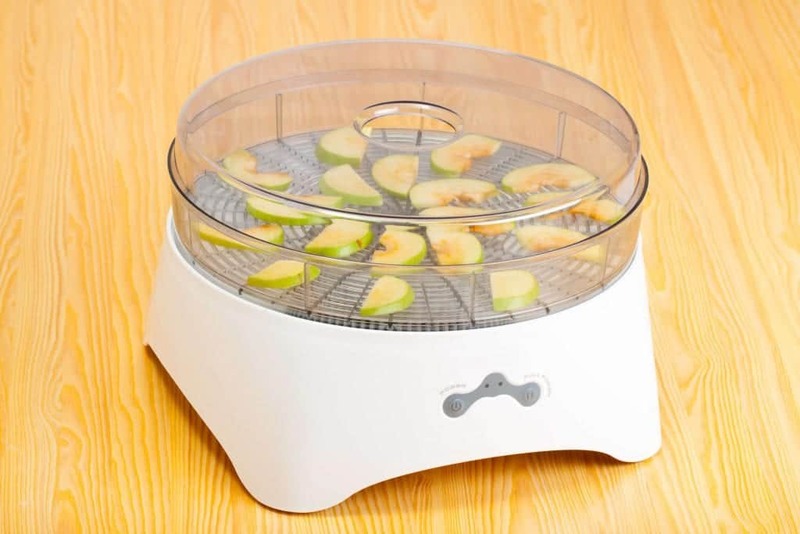 It has continuous airflow for even drying so you don’t need to rotate the trays. It comes with 5 stackable trays and two specialty trays so you can dry smaller things like herbs or create your own fruit rolls. It also has 500 watts of power behind the fan and heating element. Now, we will also take a look at how these features perform. The Hamilton Beach Food dehydrator comes with a range of positives on its side. It has a well-designed stackable tray system that you can adapt according to your needs. 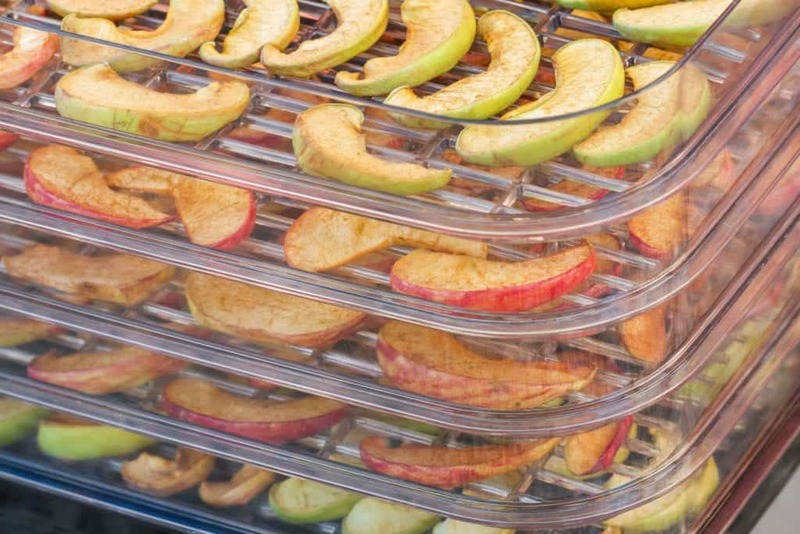 You don’t need to use all the trays if you don’t have a lot of things you need to dehydrate. For a mid-range unit it offers the convenience of higher end models with a timer and accurate temperature control, but comes with a much better price. You can also choose between Fahrenheit and Celsius for your temperature settings. The controls are also easy to use and the display is clear. It is easy to load this square type design and it does not take up too much counter space. The plastic trays are dishwasher safe, but also clean easily under the tap. On the negative side, there is not too much to mention. Due to the square design and the bottom mounted fan and heating element the airflow is not very consistent, but it is efficient. 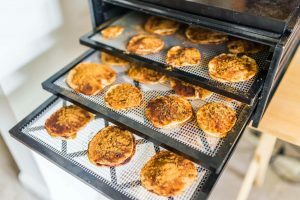 That means that you may need to rotate the trays a bit to dry everything evenly. It is a little noisy, but it’s not going to cause a disturbance with the neighbors. This might annoy you, or could be a pleasant white noise depending on how you feel about it. It comes with one mesh screen, but additional ones would have been nice. With a few thoughts on the positives and negatives now we can give you the verdict. is well designed and gives you versatility along with the convenient features. 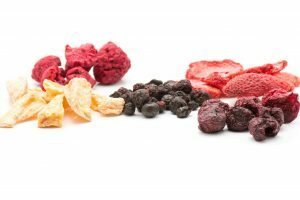 You can easily make dried fruit snacks but it will handle beef jerky just as well. 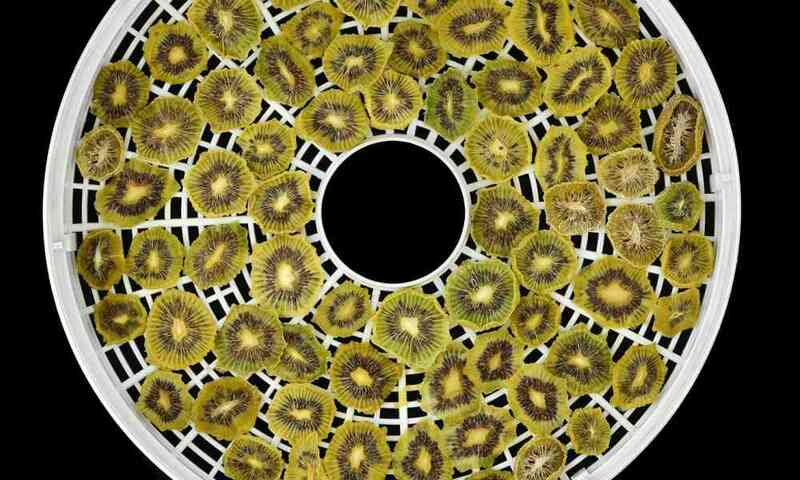 This dehydrator comes with a price tag that won’t force you to stop eating to afford it. It is not the cheapest available but you won’t need a loan. It is easy to clean, dries well, and offers easy to use controls. 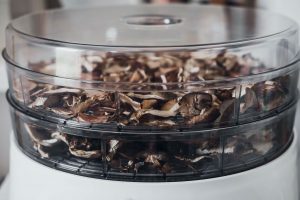 There is not much more you could ask from a mid-range food dehydrator. 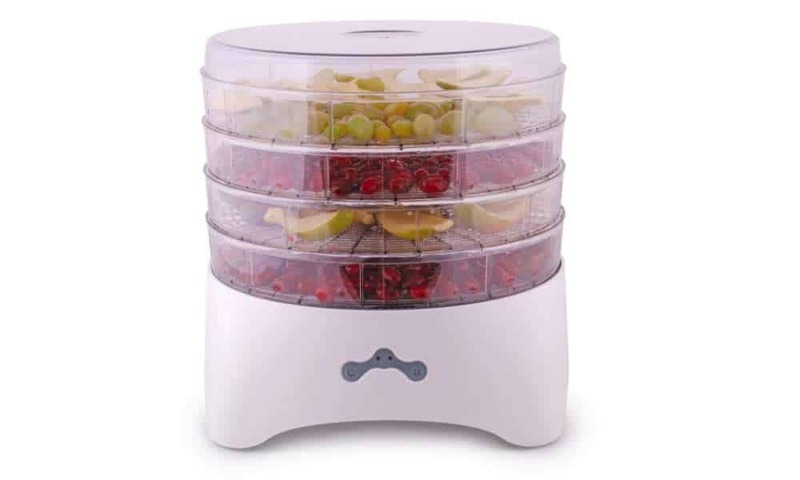 We can recommend this Hamilton Beach model for anyone who wants to make their own jerky or trail mix with no hassle.